Sole South African distributors for many musical equipment manufacturers, including AAS, Access Virus, ART, Arturia, Emes, Fatar, Garritan, Make Noise, Miditech, Moog, Radikal, Sequential, Seydel, Sherman, Sontronics, Studiologic, Tech 21, Waldorf and many more. We are your African connection to a wide range of sound sculpture and music creation tools, with over 33 years experience in the electronic music and equipment field. >> Please contact us here for the latest prices and to order. * All prices on this site include VAT. * Prices are frequently subject to change due to the volatility of the rand's exchange rate. A tri-timbral, polyphonic, analogue dream-synth. 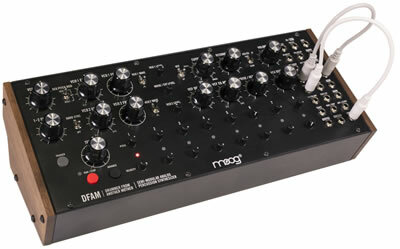 The first polyphonic analog synthesizer from Moog in more than three decades, Moog One is the culmination of years of research and has been developed to exceed every expectation of a polyphonic Moog instrument. Sequential Prophet X, a new, bi-timbral, 8-voice-stereo (16-voice mono) synthesizer that combines samples and synthesis. At the heart of its sound is a newly developed engine that powers two simultaneous 16-bit, 48kHz sample-based instruments plus two high-resolution digital oscillators with waveshape modulation — all processed through analog filters. See the official intro video for the Prophet X here. Watch Adrian Younge give his personal "Thesis On Sound" while incorporating Grandmother into his retro-inspired creative workflow. 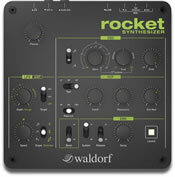 Waldorf-style Wavetables with the latest additions from Nave, including speech synthesis and wavetable generation from audio, Classic Synthesizer Waveforms with multiple waves for an ultra fat sounds right out of the oscillators, Granular Sampler with multi sampling plus traditional sampling mode, Resonator for virtual sound sculpting. 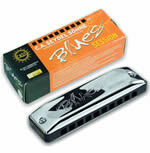 Traditional electric stage piano with a modern twist. Featuring Physical Modelled E-Piano Sounds, Sample Playback for Pianos and user content, True FM synthesis, 76 keys weighted hammer action keyboard, Three way active monitor system by EMES. 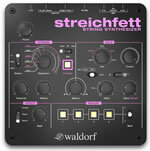 4 voice analogue performance synthesizer with a beautifully responsive keyboard, plus a flexible sequencer. Born of the most famous and influential drum machines ever made, the TR-8S combines the best of its Roland heritage with modern production techniques and professional sound design. Build your dream kit from the most iconic drum sounds of all time, plus the finest selection of samples from our vast library—or import your own custom samples. And it doesn't just excel in the studio - the TR-8S was literally made to play live. Price includes free audio interface! 49 key semi-weighted keys with velocity& aftertouch. Includes Analog Lab. 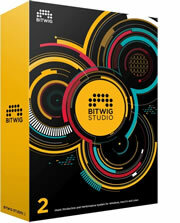 Version 2 of the cross-platform DAW. Runs on Windows, Mac OS and Linux! Analog desktop synthesizer for the modern age. 8 Voice Analog Drum Computer. The power of analog drum sounds fused with samples. Dynamic Performance Sampler. The future of sampling. An awesome modern day update to the Prophet 5, with voltage-controlled oscillators, filters, and amplifiers! New desktop module version of the Prophet 6. All of the same features in a smaller package!